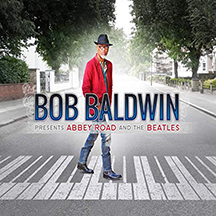 Singer, songwriter, musician Bob Baldwin takes on The Beatles in his latest project, Bob Baldwin Presents Abbey Road and The Beatles, a sensational 12-track urban-jazz album that shows the legacy of the British band and the talents of Bob Baldwin. Add featured vocalists CeCe Peniston and Lori Williams, and saxophone great Euge Groove for good measure and the release really flies. Bob Baldwin Presents Abbey Road and the Beatles was produced by Bob Baldwin and co-produced by Bob Frank on the City Sketches, Inc. Records label. 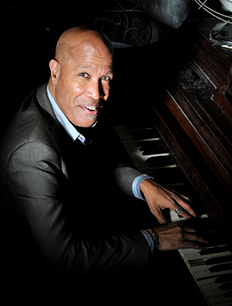 Bob Baldwin is a musician's musician; the man plays piano, keyboards, bass, drums, melodica and vocoder, and is also a singer, songwriter, and arranger, and hedoes it in fine style that fans have come to expect. Bob Baldwin Presents Abbey Road and the Beatles is his 25th recording in a career spanning 30 years as a solo performer. Based in Atlanta, when not performing, he keeps busy with his nationally-syndicated radio program, The New Urban Jazz Lounge,where the focus is on contemporary jazz, urban, and Brazilian music. The British Pop-Rock band, The Beatles comprised of Paul McCartney, John Lennon, George Harrison, and Ringo Starr, active from 1960-1970, continue to have a lasting influence on current musicians, both nationally and internationally. Countless groups have covered their material, however Bob Baldwin does so a little bit differently with his concept of Urban-Jazz, and it comes together as a beautiful tribute to The Beatles music with the inspired arranging of Bob Baldwin. The12-track release opens with Come Together (Can We All Just Get Along?) written by John Lennon and Paul McCartney and Bob Baldwin adding in (Can We All Just Get Along?) with Dennis Johnson on percussion, atmosphere, Tony Lewis on drums, Dave Anderson on bass, and Bob Baldwin on piano, keyboards, vocals, and vocoder, and it is off to a great start. Nexton the playlist is (Mellow) Yellow Submarine written by John Lennon and Paul McCartney with Bob Baldwin arrangement, with the same trio as above and the addition of Café Da Silva on percussion. And I Love Her (Real Talk), a John Lennon, Paul McCartney song, follows where Bob shows his prowess on piano and keys, with Tony Lewis on drums and Dave Anderson on drums on this beautiful song. The release continues with another John Lennon and Paul McCartney song with a little addition from Bob Baldwin on (Don't Wanna Be) The Fool On The Hill with Cece Peniston adding her gorgeous vocals to this well-crafted song arranged by Bob Baldwin who plays piano, keyboards, bass, drums, and adds background vocals. The release segues into a lovely instrumental version of the John Lennon/Louis Porzilli song, Imagine Living As One), with Euge Groove on saxophone and Bob Baldwin playing the rest of the instruments. I had the pleasure of seeing Euge Groove perform a few years ago at BB King's inNew York where he worked his magic, which he continues to do so on this song. Next up is Michelle (My Girl), by John Lennon / Paul McCartney/Bob Baldwin song featuring Ragan Whiteside on flute, Tony Lewis on drums, Dave Anderson on bass, and Bob Baldwin's vocals and playing piano and keyboards. The song opens with Ragan's flute providing the perfect intro and has lovely piano solo segments that make this song a standout. Something (In The Way She Moves), written by George Harrison and arranged by Bob Baldwin features the stunning vocals of Lori Williams with Bob Baldwin on piano, keyboards, bass, drums, and melodica. Lori Williams continues to impresson the Paul and Linda McCartney song, My Love with Lori Williams, and once again, it is just Lori Williams and Bob Baldwin and that is enough. Bob Baldwin and Lori Williams take over songwriting credits on their original songin homage of The Beatles on Abbey Road with Lori and Bob slowing the pace with vocals by both and Bob playing all instruments. Yesterday (remixed), a John Lennon/Paul McCartney song, has Tony Lewis on drums, Dave Anderson on bass, Bob Baldwin on piano, keyboards, and vocals, and Café DaSilva adding percussion. The instrumental version of Eleanor Rigby, a John Lennon/Paul McCartney comes together nicely with Tony Lewis on drums, Dave Anderson on bass, and Bob Baldwin on piano and keyboards. The release closes with the George Harrison/Bob Baldwin song Something (In the Way She Moves) (vocal version), which is pure Bob Baldwin providing the vocals and playing piano, keyboards, bass, and drums. Until next time, keep enjoying the music! © January 2019. Luxury Experience. www.LuxuryExperience.com. All rights reserved.